Hey guys i've caught spanish while fishing for other fish but lately my bud started smoking them and loves them so last time we went out there was a boat trolling for them and caught the hell out of them, so we figuered hey lets do that and we tried every lure and plug, even a spoon and we only caught 2 and they were snagged, so the question is what lures, spoons do you guys use for them besides the cork with jig head and shrimp way, hopefully this weekend will be nice and we can catch a few while going offshore. They are good, but bluefish are better, especially for dips. Agree, if done that day or the next. After that it is a wash. The "Clark" spoon is sorta the go-to lure for spanish. Try to match the size with whatever baitfish is being attacked. It's a cheap spoon but does the job (and it won't bother you so much if the toothy criiters bites your line). But as said above, they can get lock jaw. It's like anything else, just keep changing tactics til something works. When you get bites pay attention to everything and develop a pattern. Were they biting on a specific direction? Over the deep or shallow side? Inside or outside bait? Bait on top or below surface on a trolling weight/planer? 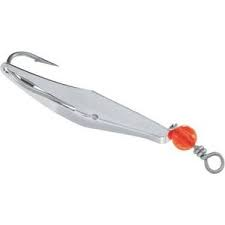 You can also anchor up and chum or live bait fish them. I remember a time when a No Alibi trolled was deadly for a couple of years when the spanish wouldn't hit a spoon. Then they began liking spoons again, and wouldn't touch a feathered jig. :shrug Fish are weird. Spanish are quite good and actually freeze well in water, though it takes up a lot of space in the freezer. Try something new next time you get a mess. 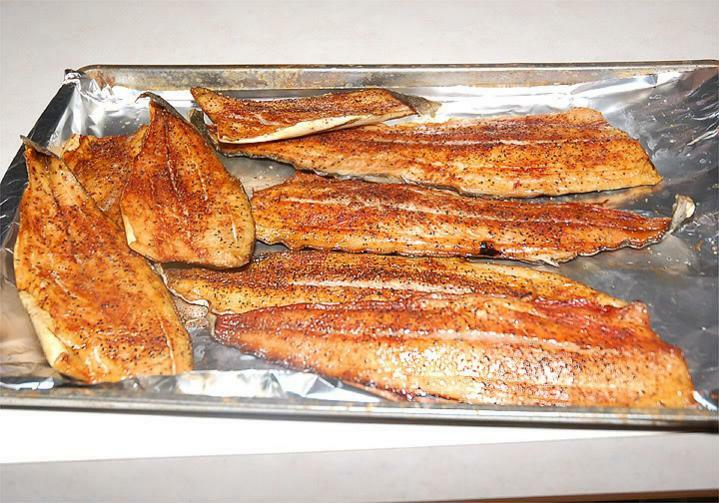 Fillet off both sides of the fish, then skin like you normally do. Take your knife and run it down the centerline on both sides, then grab some pliers or catfish skinners and pull out the bloodline. It takes many of the bones out and almost every bit of red meat. That part is strong tasting and not worth eating anyway, especially on big summer spanish. A1 and I have had discussions about the old Morrisons Cafeteria Chain and how good their foot long spanish fillets were back in the day, just simply baked. the easiest way I have found to target them is to be out there by first light. If they are around and feeding you can see em bustin'. Just motor around the school (stay well off them). Figure your drift (or troll) to intercept the school. stay to the outside of them. When they are feedin, they seem to eat whatever is in front of them if it's moving fast, plugs, spoons, plastics and of course shrimp. If they go down, wait for them to pop up somewhere. Birds will often be part of the mix. By sun up they begin to go down/move on. That's the easiest way, for me, anyway. Of course that's only when they are moving in and in big schools. The most effective way to locate Spanish is to tie on your shiniest and most expensive lure with light leader. I only do this to fry them. If smoked, they roll after the filleting is done. Well, it use to be cheap.